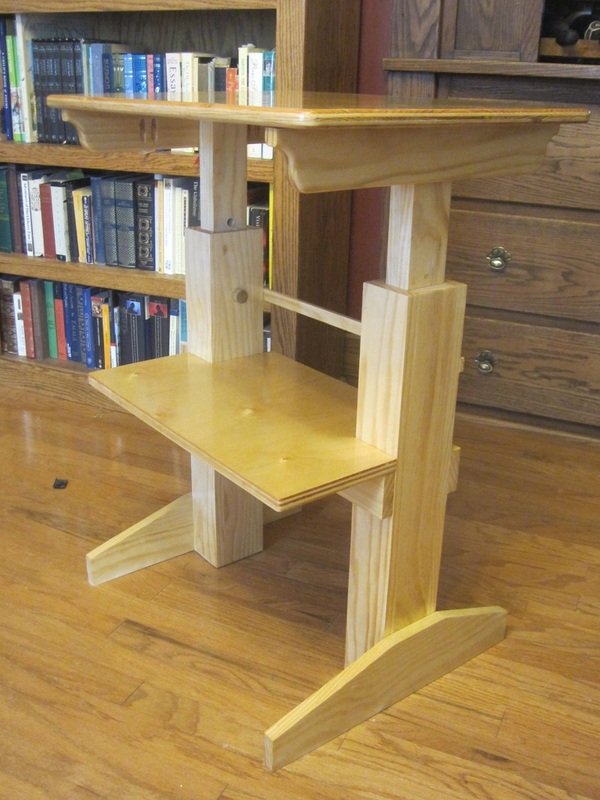 Our headmaster moonlights as a wood craftsman, and has been using part of his summer “vacation” to redesign standing desks for Redeemer students. He crafts each student’s desk by hand. Last year, we used another desk as a template, because standing desks are a relatively new idea and fewer are available than conventional desks, especially in wood. A generous donor provided the first desk to model the rest for our first class, as they are very expensive to buy. We prefer wood because it’s more beautiful, classic, and long-lasting than metal and plastic. Putting students in a beautiful environment respects their personhood and develops their taste. The results have been wonderful. We find the standing desks improve student attention and reduce fidgets. Standing instead of sitting also offers health benefits, such as improving muscle tone, circulation, calorie consumption, and posture. Education philosopher Charlotte Mason points out that attention is the prerequisite for all learning, and we view our desks as one aid towards developing that key habit. This year, Headmaster Nathaniel wanted to develop an original design, using what he learned making them, so the desks are quicker to make and more classic in style rather than modern. He’s spent several months looking at ideas, drafting designs, and inventing his own. Then he spent two weeks making a prototype. Here it is. 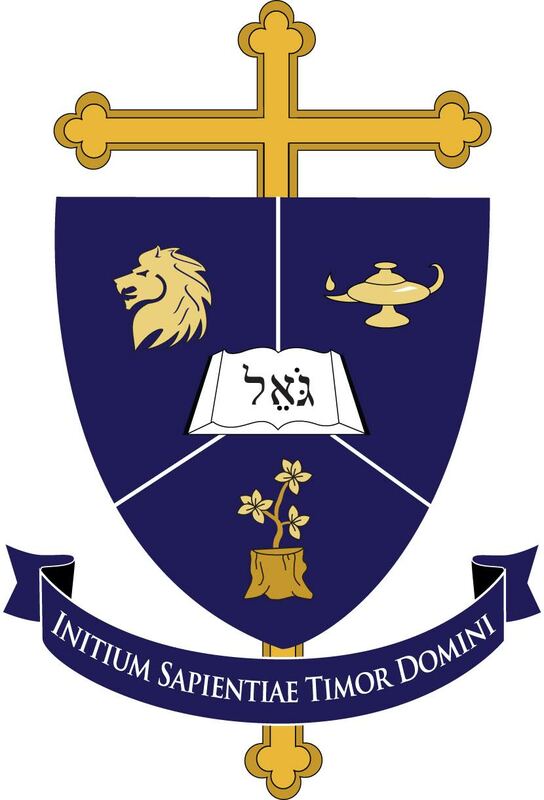 You will notice that the legs are designed to be raised and lowered, so they fit the height of each student, and can be adjusted as he or she grows. For a standing desk, one’s arms should rest naturally on the top at approximately a 90-degree angle. 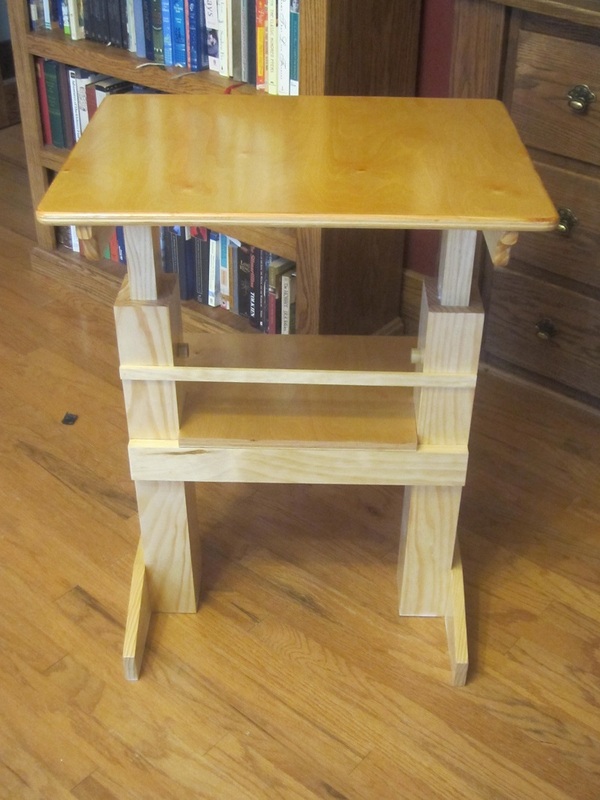 Here’s the desk modeled with a Redeemer Classical student who enters Form 1 this fall (approximately ages 7-9). Notice how his arms rest on the top of the desk, at the appropriate height for reading and, especially, writing.